Are you looking for a different kind of spiritual show? 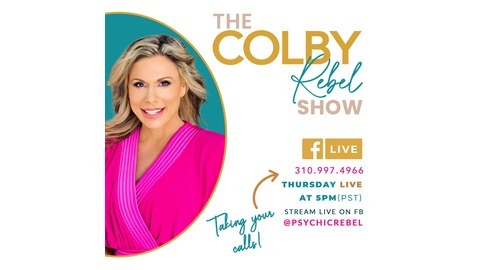 Join Psychic REBEL Live for a fun and fresh new spiritual experience! Colby is a rebel and trailblazer with a mission is to bring reality to spirituality! She is a world-renowned psychic medium dedicated to making the spiritual world part of your everyday experience! 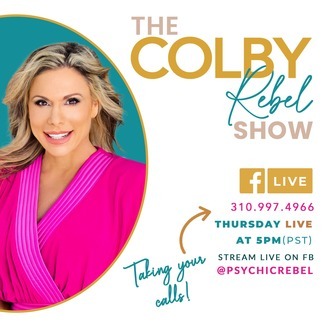 With this down-to-earth approach Psychic REBEL Live will have a variety of topics that include interviews with authors, celebrities and professionals in the industry as well as live readings on air! There may even be a few surprises along the way! Come and spend your Thursday evenings with the REBEL on UBNRADIO.COM.